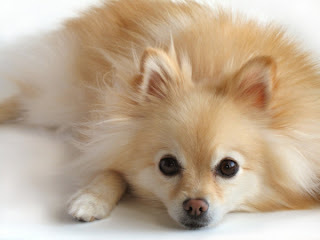 The Pomeranian is a lovely breed, they are a complete household breed, they do well with children and older people and with other pets if they are socialized properly. They are very attached with their master and family members. This breed of dogs is active and eager to work, they are very loyal to their family they have very noble and appealing expressions. The Pomeranian is an independent and confident breed, they love to go outdoor and require early age socialization like most other dog breeds, they can do well with children and other pets if they get along with them. They are very good at guarding a place and territory. They also do well as a watchdog. This breed has double coat which requires brushing at least once a week. The outer coat is long curly and wavy whereas the undercoat is dense, soft and short. This breed of dogs is eager to learn, they are easy to train and command. The training should be given with fairness and patience they will not respond to any hard and harsh methods of training. As this breed is very active so they require sufficient amount of exercise on a regular basis. They love to go for a walk with their owner and enjoy family play sessions. They are very demanding and become destructive if they are left alone for some time. They are very good for apartments living and small yards. This breed of dog requires brushing on weekly basis and bathing should be done when it’s needed. They are prone to tooth loss; so regular cleaning is a must. Dry food is recommended to aid in keeping teeth and gums healthy.